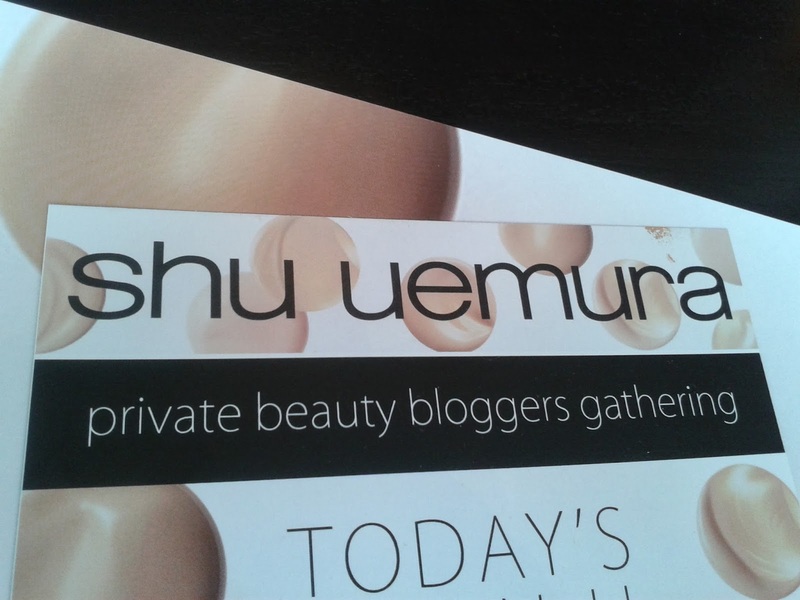 Few weeks ago I was invited by Shu Uemura Indonesia to attend private beauty bloggers gathering. Turned out that it's also to introduce the latest foundation from them; The Lightbulb Foundation. 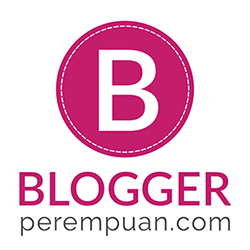 There were few other bloggers, both familiar and new ones like Phanie, Mui, Beatrix, Anggie, and Tania. 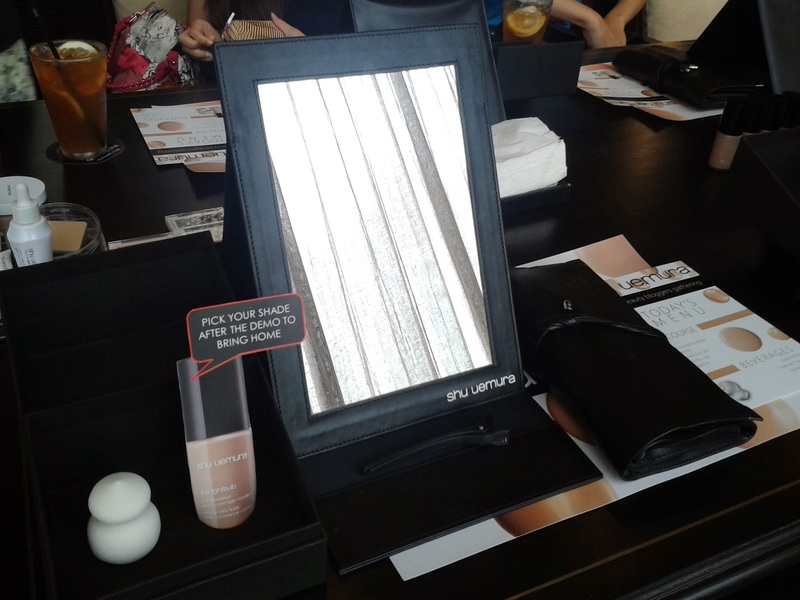 Each table has a set of products and tools for beauty class. Hello beauties! How was your day? It's almost end of the year, which means: Holiday Season! Lalala, Christmas and New Year await. Well, I actuallyhad a short holiday back then on October. To Bali! Ahaaa... I rarely go to beach, because honestly I prefer mountains and forests. But hey, it's nice to try out something new once in a while. 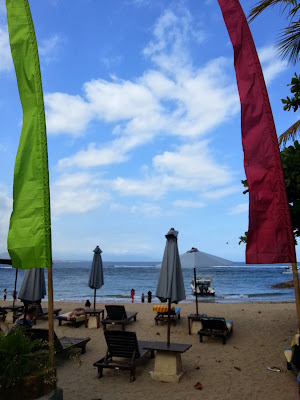 So I went to Bali and Nusa Lembongan with a friend! I've been to Bali a few times, but I never been to Nusa Lembongan before. 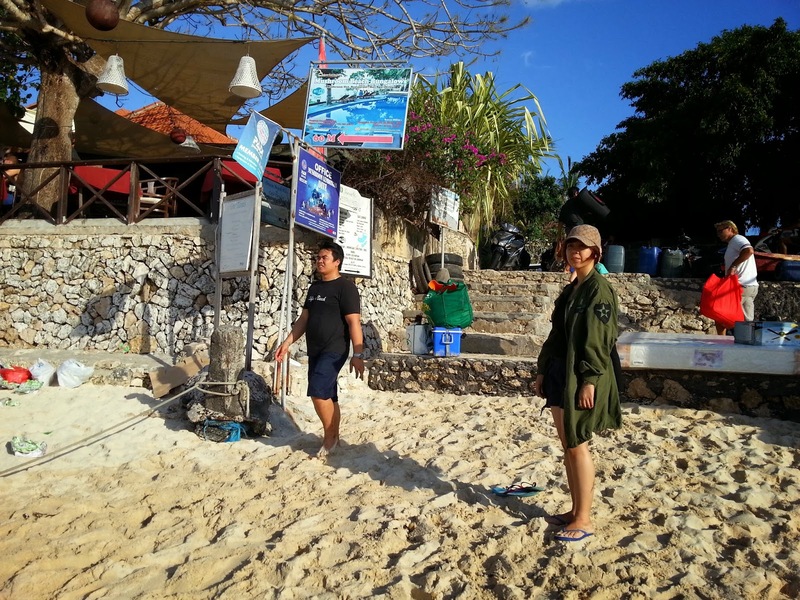 So, just in case you don't know, Nusa Lembongan is an island near Bali, around 30-45 minutes by boat. It's new, two years ago, the government started out with the tourism thingy here, so it's still quiet and virgin. Hello beauties! 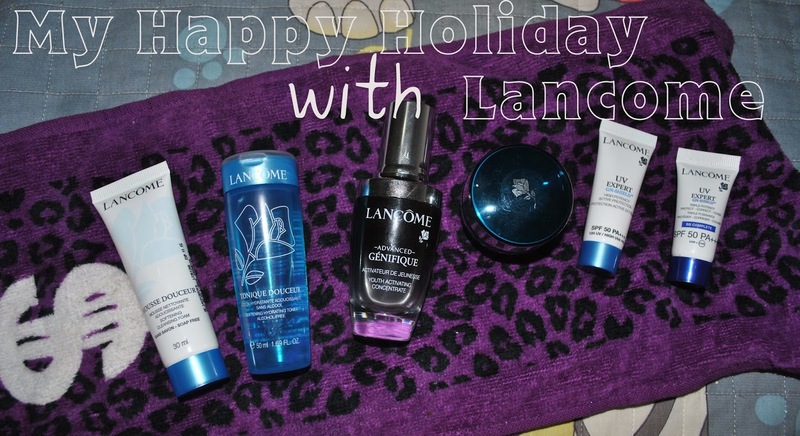 Hihi, in this post, I would like to try doing makeup (well, if you notice I seldom post about makeup and have more posts about skin care). I did this look for IBB's November Make Up Challenge with Coverderm. The theme is "Once Upon a Time"
So, this month's theme is to create our own fantasy look, whether it's a fary tale, monster, or anything. It's more about having your own interpretation of fantasy. Hello beauties! Welcoming November, this is my first post in this month. Wow, time flew fast. We're already close to 2014, can't wait! Around a month ago, I received this latest product from Etude House; Almighty Any Cushion Foundation along with other beauty bloggers for preview. Sorry it took so long since I have been busy these days. Packed with activities and I left my blog on pause. Etude House Any Cushion has SPF 50 and it comes in very typical Etude House packaging; PINK. Always cute and princessy. Well, I kinda fall for it, it's damn cute! So like any other cushion, the packaging is in a round, compact compartment, only bulkier. Hello girls, I did this 5-Minute Hair Styling with t1 Silky Light. Hehe, this product is really good in taming those unruly hair and flyaways. Diformulasikan dengan bahan2 berkualitas tinggi, Silky Light terbukti meningkatkan kilau alami rambut dan memberikan kelembutan alami pada rambut. 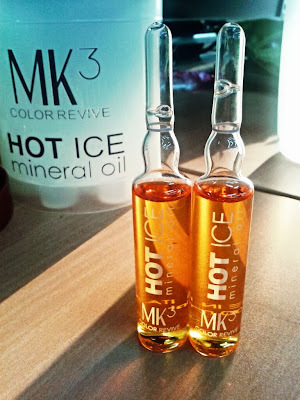 Hello all, I'm back with the tutorial of using Makarizo MK3 Color Revive Hot Ice Mineral Oil! 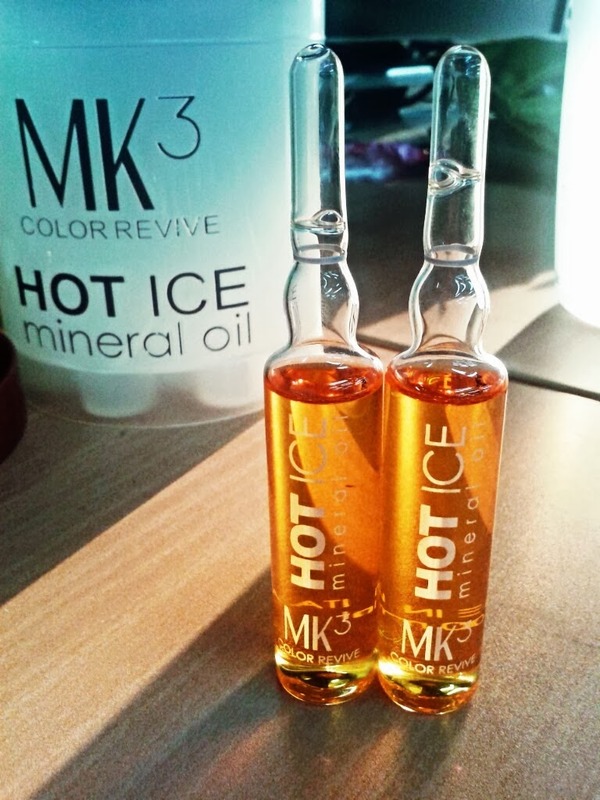 Last time, I gave you the preview of Hot Ice, including ingredients and the ampule itself! So now, I created a tutorial video of how to use this incredible hair oil!